I'm beginning to read through John Owen's classic, The Glory of Christ, with a couple of other guys. My desire is to create a list of study questions to help further our thinking about each chapter. I'll be posting them here, as we work our way through the book. 1. How does the publisher describe the works of John Owen? 2. Who is the abridger of this text? What was his original reason for abridging "The Glory of Christ"? What study discipline(s) might we learn from his efforts? 3. 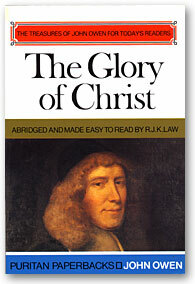 What were the reasons and events surrounding John Owen's life as he wrote this book? 4. When did John Owen die? What do we learn from his dying words? 1. Describe the Old Testament ceremony with which John Owen opens chapter one, and it’s New Testament fulfillment. 2. According to Owen, what was Christ’s “greatest desire…expressed in His prayer…” in John 17? What does he suggest is Christ’s concern in this prayer? 3. In your own words, explain the illustration of the “magnetized needle” used on page 2. 4. In your own words, state the “great foundational truth” given on page 2. 5. Describe the relationship between unbelievers and Christ’s glory. 6. List the two ways Scripture shows us “by which we may behold the glory of Christ” and verses to support this. 7. What does Owen mean by this statement: “No man shall ever behold the glory of Christ by sight in heaven who does not, in some measure, behold it by faith in this world.” (pg. 4)? 8. Why are icons and images insufficient for beholding Christ’s glory? How do we attempt to use physical or mental icons/images and in what ways are they insufficient? Is there idolatrous sin from which we need to repent? 9. We live in an age where the arts are now included in many churches as a part of their worship experience. What warnings can be implied from Owen’s statement regarding “images, pictures and music” on page 7? 10. 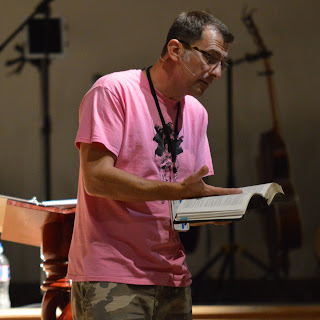 Owen quotes John 1:14 and asks, “What was this glory of Christ which they saw, and how did they see it?” He gives 2 negative and 1 positive answer. What were his answers? 11. What happens to the “beauties of this world” as we focus on the image of the glory of Christ? What worldly things and desires (they may not necessarily be inherently sinful) need to be weaned from your life? Ask God to reveal these to you. Be ready for radical amputation, if necessary (Matthew 18:7-9). 12. Beginning on page 7, list as many benefits and results of beholding the glory of Christ that you can. Think about each of these benefits and how they might change your life. 14. How does the glory of Christ affect our minds? 15. How do you now plan to see Christ’s glory and how will you allow this vision of His glory to change you?